I love how so many people are educating themselves about caring for the environment, experimenting with a vegan lifestyle and taking better care of their skin and hair by not only eating healthy but also switching to a routine with more natural products. Using natural products especially for your hair can do wonders for the hair and scalp in the long run. I recently switched to Satthwa’s Argan Oil Shampoo which is not only natural and free of preservatives and alcohol but it is also a SLS free shampoo hence it is super gentle on the scalp. Satthwa has been popular in the market for their much loved hair growth oil and they recently came out with this shampoo. I’ve been using it for almost a month so read on to know if it fared as well as their hair oil! We took 6 months to research this shampoo as we wanted this to be the best shampoo you will ever use. What makes this shampoo special? We have included Argan oil, Jojoba oil, Avocado oil, Almond oil, Coconut oil and Botanical Keratin in this shampoo. Together all these oils nourish your scalp and hair. Our shampoo also contain neem extracts, which is known to reduce dandruff naturally. We also wanted to make this shampoo SLS / Paraben free so that it does not irritate the skin and also does not cause damage to scalp and hair in the long run. Made for all hair types! Recommended for both men and women. Sulfate / Alcohol Free! 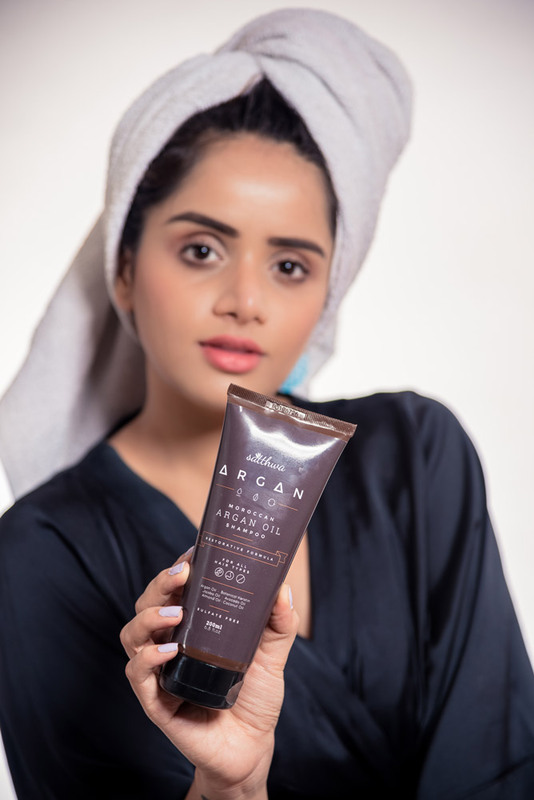 The Satthwa Argan Oil Shampoo is packaged in a plastic squeeze-y tube with a flip open cap. It mentions the entire list of ingredients on the packaging itself. The product looks attractive and is travel friendly as I have not witnessed any leakage. 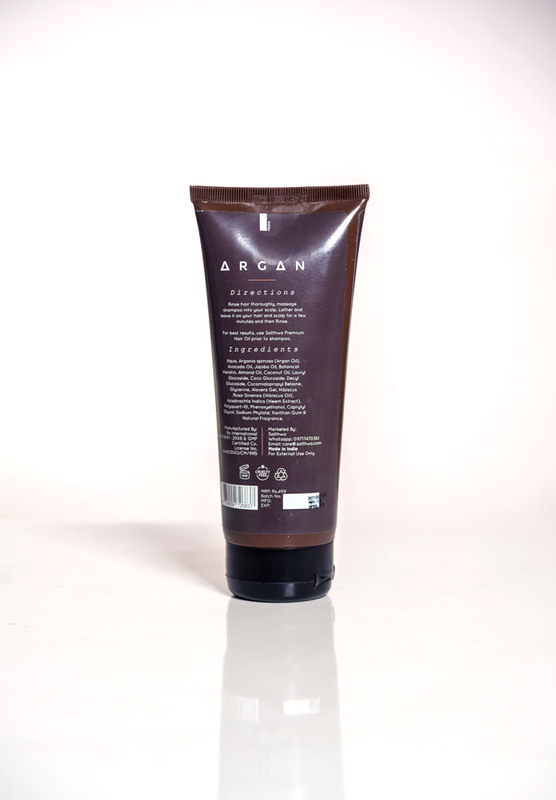 It is suitable for all hair types including straight, wavy, curly and can be used by both men and women. The Satthwa Shampoo has a thick and very creamy consistency. It smells absolutely amazing and will not irritate those with a sensitive nose as it dissipates after rinsing. Being a SLS free shampoo ie without detergent it will not lather as well a normal lather. However, that does not mean that the shampoo won’t adequately clean your scalp and hair. Many people end up using alot more quantity than required to make SLS shampoos lather however that only leads to wastage. Use the same amount as you would with a normal shampoo and you can also try diluting it with some water first to get more lather. It cleanses the scalp and hair pretty well without requiring more product than usual. I have very dry and frizzy hair and after 2-3 washes I could start noticing my hair become softer and more manageable. It contains the goodness of many hydrating oils like argan oil, jojoba oil, almond oil, avocado oil and coconut oil along with botanical keratin to repair damage and reduce dryness and frizz. The Satthwa Argan Shampoo also contain neem extracts which has antiseptic products hence it helps reduce dandruff as well. I don’t have much of an issue with hairfall, however SLS free shampoos are perfect for those battling hair loss woes as they are far more gentle on the scalp compared to other shampoos. It is also the perfect choice for those who have gotten keratin hair treatment done to make it last longer. The price might feel steep however it is one of the best and affordable SLS free shampoos in India. 1) Some might find the price a bit steep but as far as SLS free shampoos are concerned, this one is not very expensive. 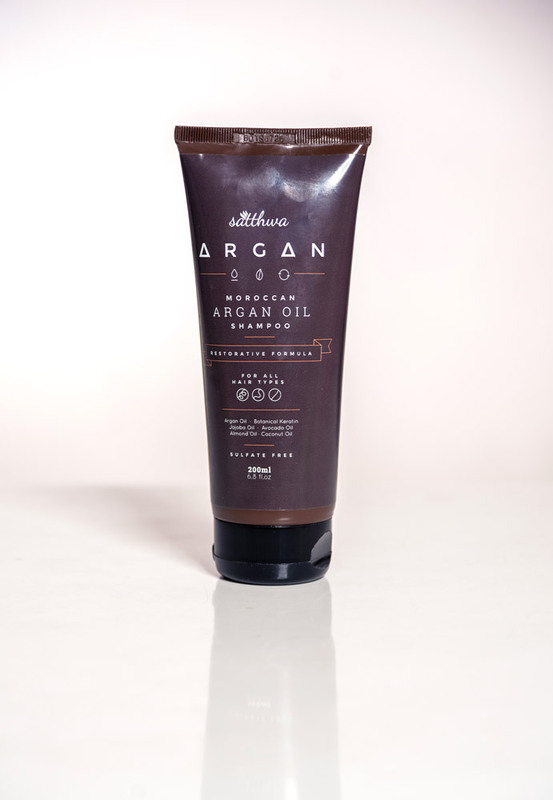 HBM Recommendation: The Satthwa Argan Oil Shampoo is an SLS free shampoo which is also free of preservatives and alcohol. It contains numerous natural ingredients which treat damaged hair and helps reduce dryness, hairfall and frizz. If you are looking for a good SLS free shampoo then you must try this out.